A strong core not only helps improve power and balance, it can also help decrease the likelihood of injuries. And nothing looks better than a strong, lean mid-section. 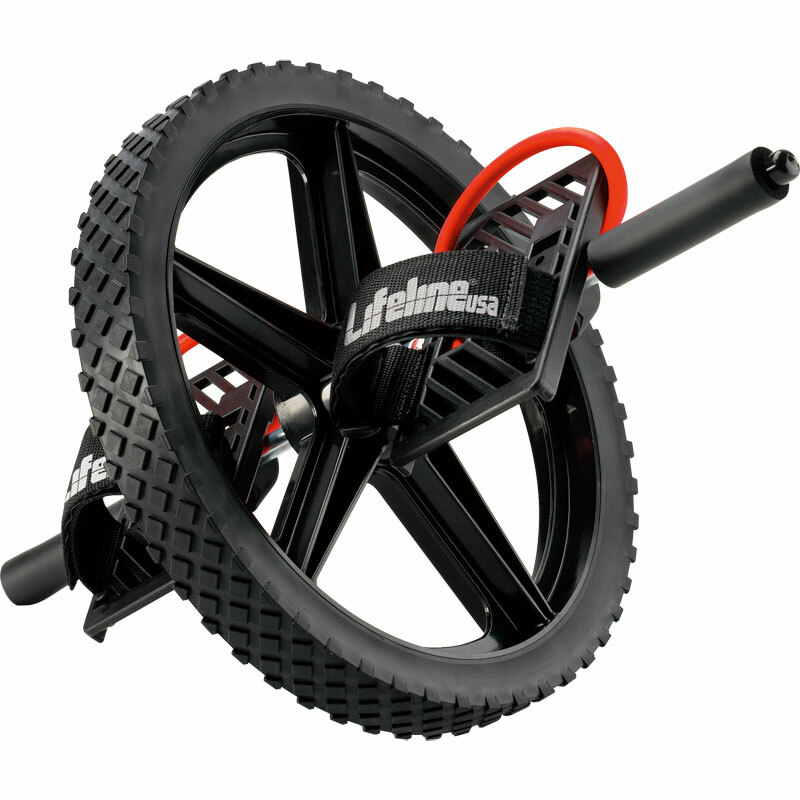 The Lifeline ® USA Power Wheel delivers a series of intense exercises that challenge your abs, obliques, back, hips and glutes. You'll even see (and feel) the effects on your chest, arms, hamstrings and calves. With exercise options that vary from mild to downright wild, this is the perfect piece of equipment for all fitness levels. One heavy-duty wheel with adjustable toe/heel fasteners. One instruction DVD for advanced workouts by fitness expert Jon Hinds. 5 out of 5 Makes me wanna train! I love it! Definately the best core trainer I have used. Does exactly what it says. 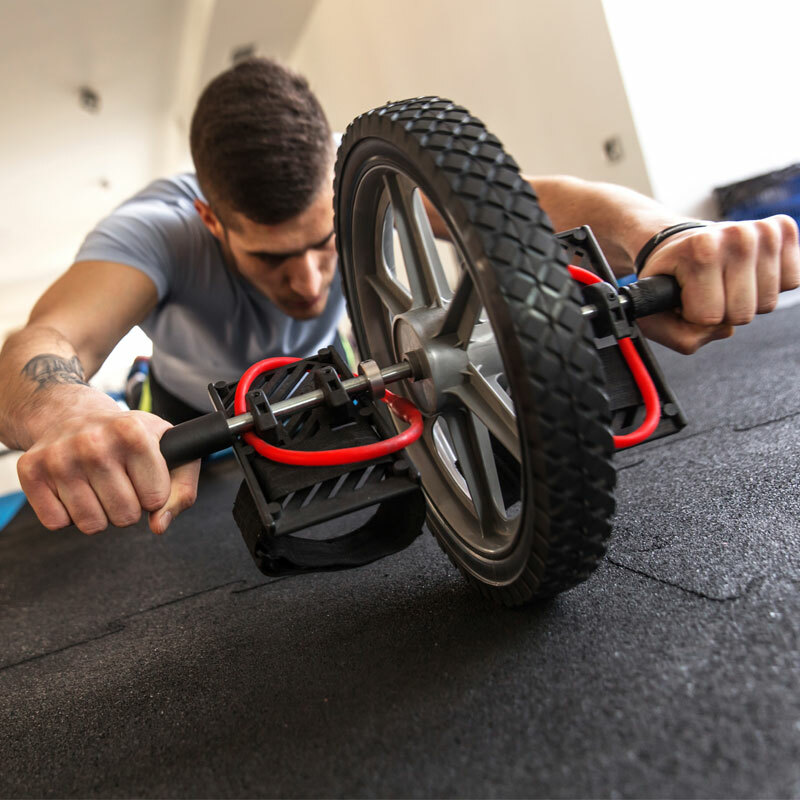 Works more muscles than a standard ab-wheel due to the size of the wheel. Just seeing it on my floor makes me want to grab it and do something! Well done Lifeline.